Perhaps you’ve been searching for the best fish oil supplement, or maybe you’re a new Omega3 Innovations customer. Either way, we’d like to let you know more about our Omega Cure®. There simply is no market competitor for our fresh cod liver oil, and we have the numbers to prove it. To learn more about our company’s high standards — and how to decipher an omega-3 supplement’s freshness level — keep reading. When most people think of fish oil, they think of smelly capsules and fishy burps. Why the bad taste and odor? Fish oil is a highly perishable food product, and when it’s improperly handled or stored, it spoils. All omega-3 oils – whether they’re made from algae, flaxseed, or cod liver oil – spoil over time and after oxygen exposure. Sadly, the majority of omega-3 supplements on the market are flat-out rancid. Looking at an omega-3 product’s oxidation values (a.k.a. 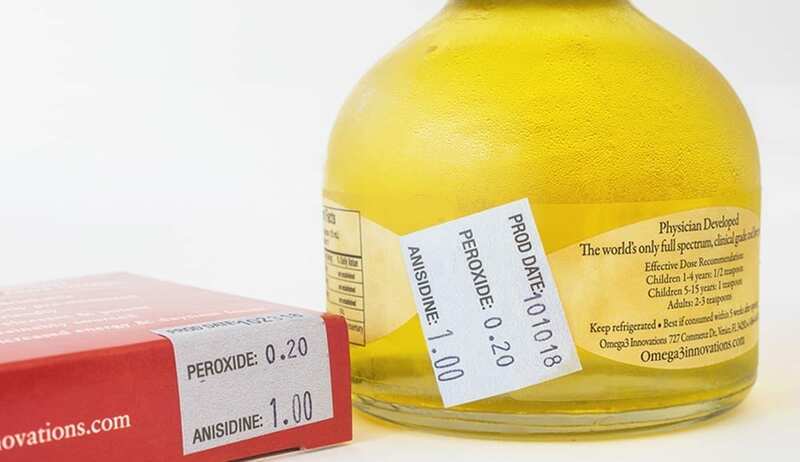 the peroxide and anisidine values) can help you assess the quality of your product. But another telltale sign of fish oil oxidation is an overpowering fishy odor and taste. Omega Cure has no fishy scent or flavor. That’s how fresh it is. How Is Omega3 Innovations Different? Thousands of studies have documented the benefits of getting enough omega-3 fatty acids for optimal joint, eye, brain, and cardiovascular health. But research also indicates that these benefits depend in part on the quality of the oil. That’s why we emphasize how important it is to make sure your omega-3 supplement is fresh – both for safety and efficacy. We’ve dedicated years of research towards creating a state-of-the-art purification process that protects the integrity of the omega-3 fatty acids – while impurities like mercury are filtered out. 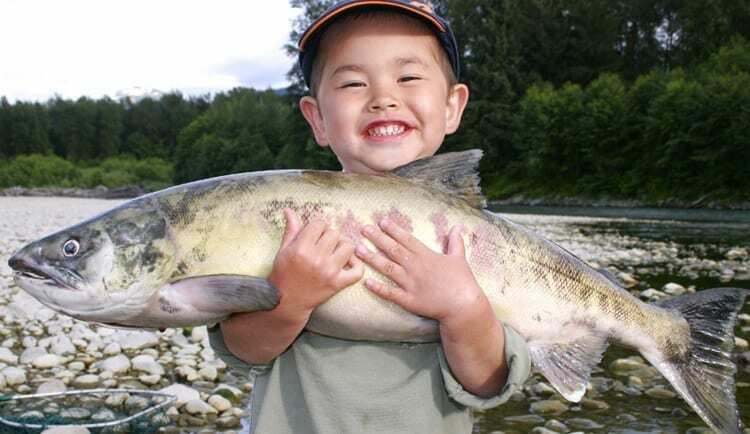 This ensures that our pristine cod liver oil has extremely low oxidation levels and is safe to be consumed by all ages. How Omega Cure’s peroxide levels stack up against the competition. Unlike our competitors, every bottle of Omega Cure and box of Omega Cure Extra Strength also comes with a sticker that provides you with more information about the freshness levels of your oil. Your shipment should also contain an oxidation chart, which explains how our values compare to international freshness standards (as well as the typical peroxide values of omega-3 products). What Information Do Our Labels Provide? 1. 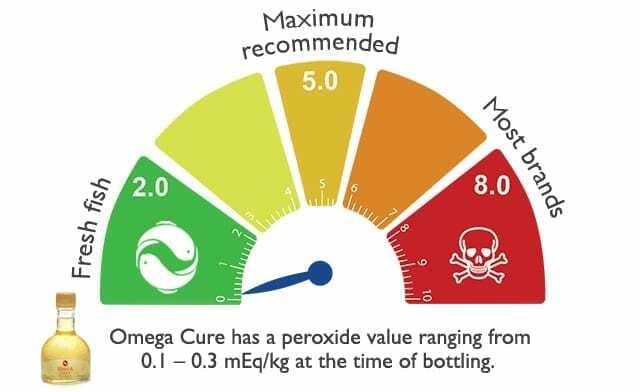 The peroxide value of your Omega Cure batch. 2. The anisidine value of your Omega Cure batch. 3. The date your oil was bottled. You might ask why it’s important to include these bits of information. Don’t other omega-3 manufacturers also list oxidation values in their certificates of analysis? While an oil’s certificate of analysis provides a good starting point for analyzing quality, remember that freshness values change with time. They also vary from one batch to the next. In other words, when you see an oxidation number listed online, it’s probably outdated by the date of purchase. This is particularly true if the product has gone through additional processing after the peroxide or anisidine value were measured, or if it’s been subjected to long storage times or poor storage conditions. When you check Omega Cure’s oxidation label, you’ll know the oxidation values of your oil batch and exactly when your oil was bottled. Since we ship directly to the consumer shortly after measuring the values and bottling, the real-time peroxide and anisidine values of your bottle should be almost identical to the stated numbers on the label. We recommend keeping your Omega Cure bottle or Omega Cure Extra Strength vials in your refrigerator (if it’s hard to pour, simply let the bottle or vial thaw for 10-15 minutes on the kitchen counter). Once you’ve opened a bottle or vial and exposed the oil inside to oxygen, use it up within five to six weeks. And just like any omega-3 product, if it tastes and smells fishy, throw it out. Want to learn more about the ways we preserve Omega Cure’s freshness level, from the time the fish are caught to the moment your shipment arrives at your doorstep? We tackle that topic here! Do the extra strength vials require refrigeration? 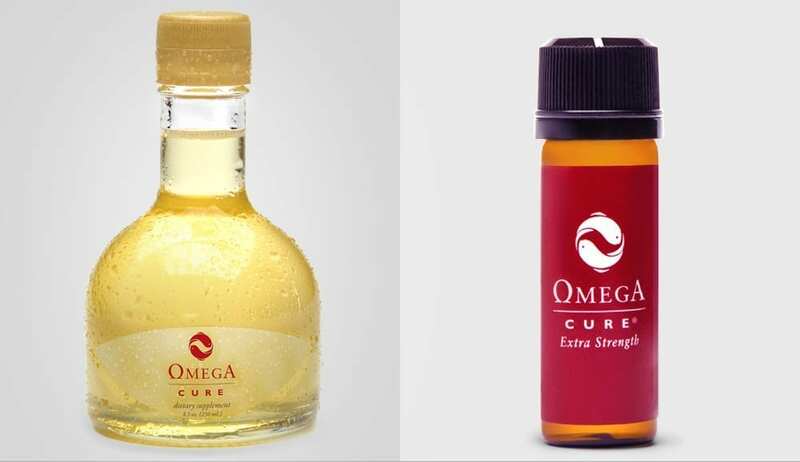 The Omega Cure Extra Strength vials have a good two week shelf life at room temperature (and likely a little longer than that, as we’ve assessed with further testing). That means, they’re very convenient for when you are traveling. However, we always recommend storing them in the refrigerator when you can, since that prolongs their shelf life. In the refrigerator, they stay fresh for up to 6 months.